There appears to be a cozy relationship between the incinerator industry and the staff who recommend incinerators and the politicians who ultimately approve these projects. An incinerator industry conference brochure, with Covanta Energy Corporation being one of the conference sponsors, asks participants if they are up to date on “combatting public scrutiny”. The Ontario Minister of the Environment (OMoE), the Honourable John Wilkinson has been invited to be the conference keynote speaker. Durham Region and Ontario Ministry of the Environment staff are conference presenters and panel participants, respectively. On November 19, 2010, OMoE Wilkinson issued a media release to advise he approved the Environmental Assessment (EA) for the incinerator proposed by Durham and York Regions, where Covanta was selected as the design, build and operate contractor. The incinerator would be sited on the shore of Lake Ontario in the Municipality of Clarington, in what is an already stressed air shed, at the east end of the Greater Toronto Area. If built, this would be the first municipal solid waste incinerator in Ontario in almost twenty years. Though the Durham-York incinerator is not yet a certainty, the EA approval will provide the industry with a template for future project approvals in Ontario. That should concern all Canadians as the incinerator industry and their supporters will attempt to position their Durham-York EA approval as evidence that incineration is “safe” and a financially viable waste option. Less than a week after the EA approval, Durham Region’s appointed Chair and chief incinerator promoter, Roger Anderson, signed a project agreement with Covanta, doing so though many councillors had asked Mr. Anderson to first allow the incoming council to review the draft agreement. Not being accountable to either council or the public, Chair Anderson signed the agreement. This is a costly and risky financial deal for Durham Region residents who could bear the brunt of the pollution and related health risks in addition to the excessive costs. Because the host community council terminated their expert reviewers prior to the EA being submitted, it was left to citizens and community groups to undertake a detailed EA review. Despite numerous information gaps, errors and inconsistencies, somehow Minister Wilkinson found it possible to approve the EA studies though many concerns were outstanding and not properly addressed. In his EA approval, the Minister opted to defer outstanding concerns to subsequent approvals processes. Conditions of EA approval set out what Durham and York must comply with if they opt to build the incinerator. The actual EA conditions do not match the hype in the Minister’s media release which cites “strict conditions “and protecting local air quality. Several conditions of approval are vaguely worded and therefore subject to interpretation. One such condition (Condition 8) was to require a public advisory committee to facilitate ongoing community involvement if the project were to move forward. Durham Region staff propose to limit public membership to the minimum mandated by the Minister and actually prevented the public and a Clarington councillor from attending the first committee meeting by posting a security guard at the meeting room door. Revised A-7 Guidelines for incinerators were released in October 2010 (pdf attached) with the operating limit for dioxins, a group of carcinogenic chemicals, being less stringent than the standard first proposed by Ministry staff in their March 2009 proposed A-7 revisions. The Minister has not required continuous emissions monitoring for all pollutants where that technology is available. Instead, the Minister had left it to Durham and York Regions to develop an emissions monitoring plan, a task that Durham Region staff promptly delegated to the incinerator operator, Covanta. Provincial emissions standards are often out of date or absent altogether for certain pollutants. The health and environmental impacts of incinerator ash residues were exempted from examination in the Durham-York EA approval. What Durham had touted as a “local” solution actually has Durham shipping bottom and fly ash residues shipped to New York State. 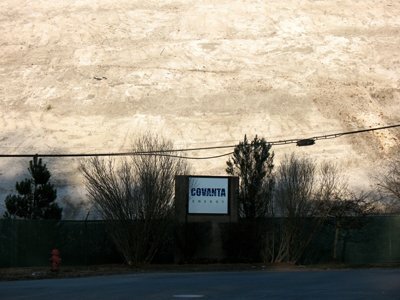 Covanta has a checkered operating record with dioxin emissions exceedances at the Wallingford plant they operate in the United States. For Durham staff to allow Covanta to develop the plan to monitor their own operations is akin to putting the fox in charge of the hen house and could put public health at risk. Citizens are raising these concerns with both the Ministry and Durham council, urging proper oversight. Now that they are getting closer to the implementation phase, Durham Chair Anderson and senior staff appear to be backing away from earlier statements that public health would be protected through stringent operating limits and emissions monitoring, which were to be set during the Certificates of Approvals phase (C of A). At a recent regional council meeting, the Durham Works Commissioner and legal counsel urged councillors to NOT set more stringent operating limits and emissions monitoring as part of the C of A operating permit to maximize public safety, as staff had suggested in the past, and where they would be legally binding and enforceable. A few politicians in Durham have caught on to this tactic of promises made to political decision-makers so they vote to move the project forward. Citizens must remain vigilant and do their due diligence when the incinerator salesmen make the pitch to their community. Don’t believe the hollow promises some staff and elected officials will make about protecting public health and that burning garbage is a financially viable disposal option. The facts in the Durham-York EA studies have proven one thing – that the incinerator sales pitch is really just “smoke and mirrors”.